This luxury mattress features the intelligent UltraSens™ 15 pocket spring system. Each spring has 15 active turns within its unique 3-tier configuration, providing seamless progressive-support and unparalleled comfort. Upholstered with naturally soft and breathable layers of Wool, Hair, Bamboo yarn and luxurious Cashmere, which help to regulate body temperature and to ensure a fresh and hygienic night’s sleep. Covered with a Wool infused Belgian Damask to provide a soft and cool surface and traditionally hand tufted for long lasting comfort and support. 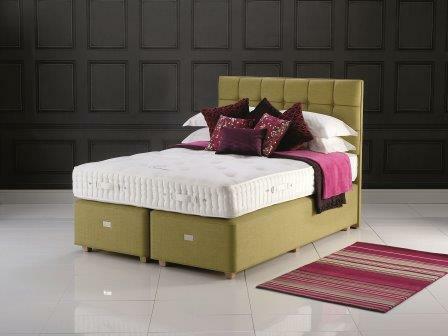 Mattress border has 3 rows of genuine hand side-stitching for additional edge-to-edge support.